CHARM - SARAH COVENTRY. "EVERYDAY CHILD" FROM 1976. 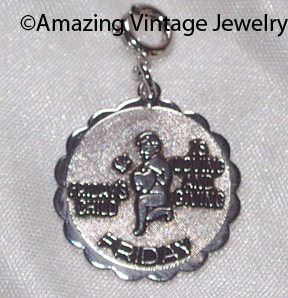 "FRIDAY'S CHILD IS LOVING AND GIVING" IN SILVERTONE. 7/8" IN DIAMETER. EXCELLENT CONDITION.